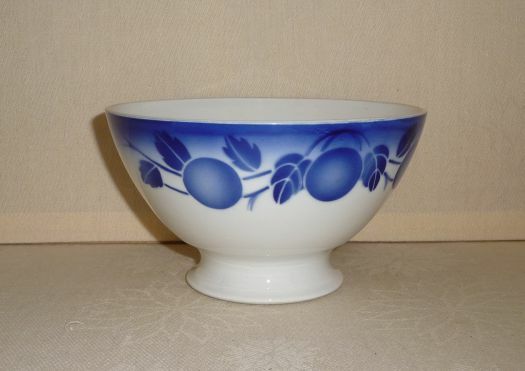 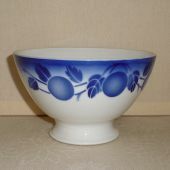 Large bowl with blue fruit pattern, it is so large that it seems as a small salad-bowl ! 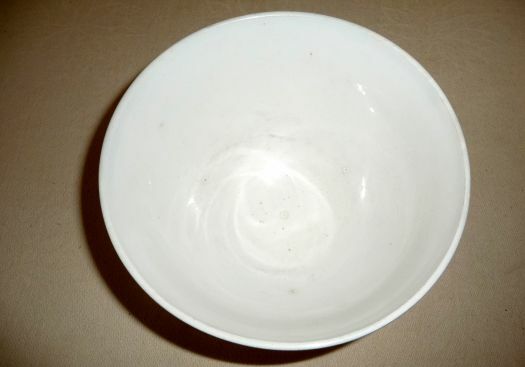 Height 9,7 cm ; diameter 16,7 cm. 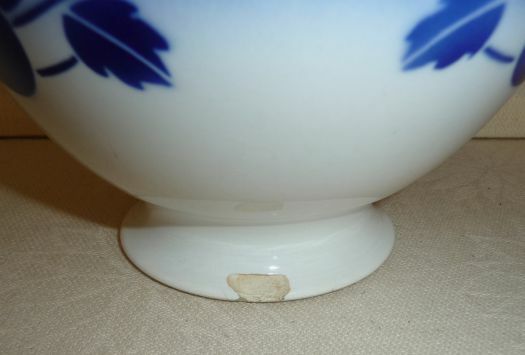 Inside it has been much used and it is stained ; there is a chip on the foot. 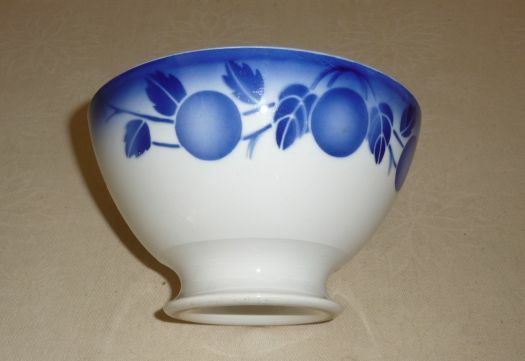 But it remains a very decorative item to display on a shelf in the kitchen.